Following the tragic fatality last year in Norfolk involving a child and an inflatable Bouncy Castle, and a further incident on an inflatable slide at Woking where ten children were injured and taken to hospital, The Highland Council's Environmental Health Service is responding to Health and Safety Executive (HSE) advice and raising awareness of the risks associated with such equipment. 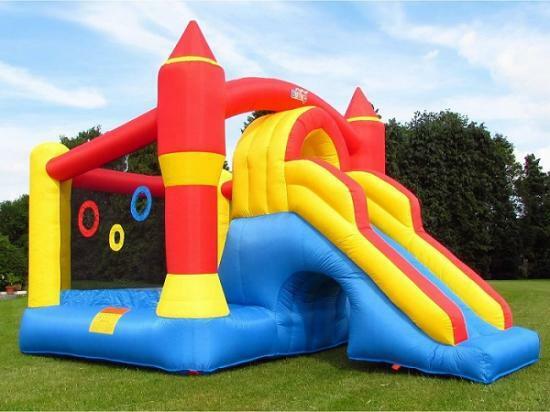 HSE has recently revised their guidance for Bouncy Castles and other play inflatables which is now available to operators and members of the public on their website. In order to highlight the revised HSE guidance, the Environmental Health Service has written to known operators and suppliers of inflatable play equipment within the Highland Council. The Council wishes to ensure that all operators of such equipment are able to demonstrate a practical appreciation and understanding of the risks associated with the use of such equipment. Gregor MacCormick, Senior Environmental Health Officer, said: "The use of inflatable play equipment should be safe and enjoyable occasions. Recent tragic incidents' involving such equipment highlights the significant risks that can arise where operators do not effectively manage their use. It is essential that operators consider all aspects of the revised HSE Guidance when planning and organising activities where inflatable devices are in use, and follow the equipment's operating instructions. Even if the activity has been run successfully for a number of years it is important to review safety arrangements to ensure they remain effective and take into account local circumstances and current best practice guidelines. "Our Service are keen to raise awareness of these issues in order to allow operators to review their arrangements in line with the revised HSE guidance ahead of the Spring/Summer period when such equipment will be in frequent use. " Operators of inflatable play equipment that do not require a public entertainment licence are encouraged to still use the checklist for their own good practice. Should anyone have any queries regarding the safe use of inflatable play equipment they should refer to the HSE website or contact the Highland Council Environmental Health Service on: envhealth@highland.gov.uk. Additionally, if any operators and suppliers of such equipment did not receive a letter from the Council then they should contact them via the same email address.